Joshua Tree National Park is a desert park, a geology park, and one that illustrates how living creatures have adapted to its often-hostile environment. 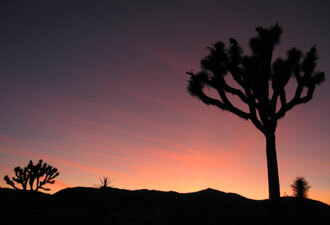 Joshua Tree National Park protects the scenery where the lower Colorado and the higher Mojave deserts meet. These two deserts and the transition between them offer vast, open views unobstructed by tall vegetation. Visitors can see evidence of the geologic processes that have shaped the landscape. In the Mojave (high) desert, large monzogranite formations lure visitors from their cars, and trails weave their way through rocks speckled with the park's namesake Joshua Trees. In contrast, the Colorado (low) desert is a vast, open landscape lacking in both monzogranite formations and Joshua Trees. It is the image of what many people think of as a desert, with lower-growing and often less-abundant plant life. By far, the most popular activities in the park center on its rock formations. 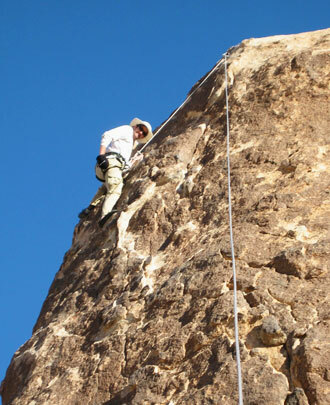 Visitors climb, scramble, or simply hike through the vast maze of granite boulders. First-timers at the park may want to experience these formations by selecting shorter hikes like Barker Dam (1 mile roundtrip), Skull Rock (1.7 miles roundtrip), or many of the other nature trails (all under 2 miles roundtrip), and hiking them in the early morning or evening hours to avoid the heat and increase the chances of seeing wildlife. Adaptation is the key to survival in the desert. Everything and everybody that has come to live here has learned to adapt to its often-harsh conditions. Visitors can learn about these adaptations and struggles for survival by attending ranger-led hikes or talks, or they can hike one of the park's many self-guided nature trails, complete with informative wayside displays. Two of the more popular hikes are the Cholla Cactus Gardens and the Bajada (an All-Access trail). Both trails are a quarter of a mile roundtrip. To learn of the people who have lived here, visitors can reserve a spot on one of the ranger-led tours at the Keys Desert Queen Ranch. Although the Keys Desert Queen tours require a fee and reservation, visitors can hike on their own to Ryan Ranch (1 mile roundtrip) or the Lost Horse Mine trail (4 miles roundtrip). If you seek a quiet getaway, a summer visit to Joshua Tree National Park comes complete with silence, seclusion, and an opportunity to experience a different side of America's national parks — although the summer quiet will lift today, August 10, 2011, as the park celebrates its 75th anniversary. A day of special events (pdf) includes speakers, a dinner, a Native American cultural performance, and a night sky program. 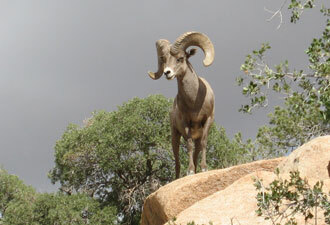 To learn more about visiting Joshua Tree, visit our website at www.nps.gov/jotr.